My name is Rita Denise Yost. 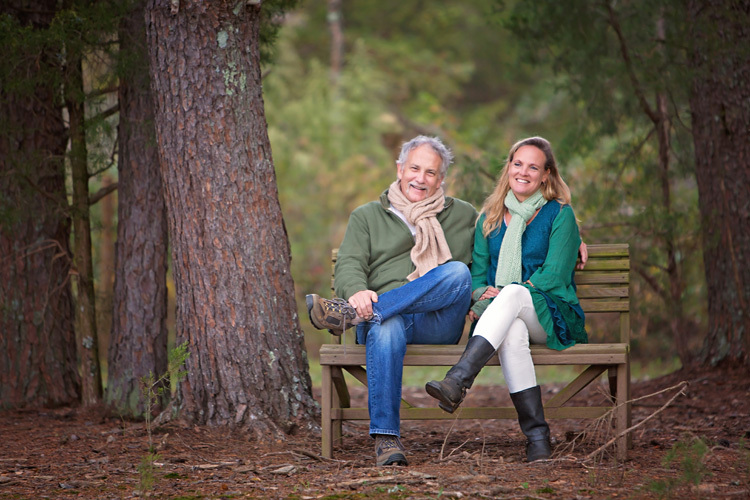 My husband, Spencer, and I own and operate Rita Dee Farms Alpaca farms. This website is to show you what we go through from beginning to end. As I think back on why I chose to become an alpaca farmer, I can link it to only two things. In my remote past, I owned (and still do) a 100% imported genuine 2-ply Peruvian alpaca sweater. I thought this hand-me-down must be the finest garment in the world, since all my other clothes were hand-made by my mother or grandmother. I wore that sweater everywhere. It even followed me to ASU where I got dropped in the middle of Pisgah National Forest with a backpack and a compass and had to find my way out. By the time I made it out, it was torn, wet, covered with detritus and probably tear stained. It was darned and although I will never be the same, my sweater certainly is just like new. And then more recently, I went on a mission trip to Blissful Dreams therapeutic riding camp in Charleston, SC. I have always loved horses–owned one for a year and decided I don’t have a horse owner’s lifestyle. If I am really honest, I was a little scared of that horse. So, when I read an article in Heifer International about alpacas being gentle and eco-friendly (don’t damage their habitat due to padded feet, dropping fertilize the topsoil, and they don’t pull vegetation up by the roots) I was intrigued. I started visiting farms in North Carolina and Virginia. 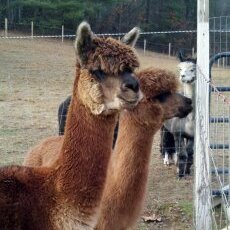 I have to say, alpaca farmers are the friendliest people I have ever met. But then I met Woody and Mike from Two Crow’s Farm. They were so into every aspect of the alpaca life style, I couldn’t wait to get back to my biology roots and inspect alpaca poop for parasites and such with my microscope. So these guys seemed like the best mentors for me. I wanted to learn the business from end to end (No pun intended) Not to mention they have beautiful animals with lots of color and personality. I am so excited that an Alpaca Farm is close by. I am a knitter and just bought my first pair of Alpaca socks and I absolutely love them. Do you have the yarn for knitting? Would love to visit your farm, I work in Winston-Salem. Would I need an appointment, are you open on weekends? We have both hand spun and fiber mill spun yarn here at the farm as well as lots of products from our fiber pool. I have a flexible schedule, so just let me know when you would like to come by the farm. If you want to commune with the creatures that create these beautiful products, just bring some baby carrots with you. They love them!